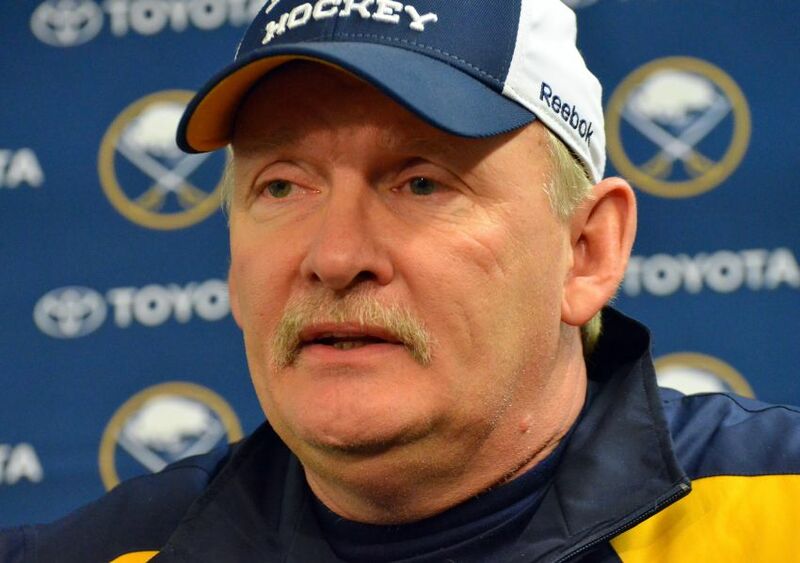 BUFFALO – The New York Rangers have received permission to talk with former Sabres coach Lindy Ruff about their vacancy, according to ESPN.com and “Hockey Night in Canada” analyst Glenn Healy. Ruff, arguably the best veteran coach on the market, recently spoke to Dallas and also talked with Tampa Bay shortly after his Feb. 20 firing after more than 15 years leading the Sabres. The Sabres technically possess Ruff’s “rights” since they’re still paying him. The Rangers fired coach John Tortorella days after their second-round playoff ouster late last month. It’s believed Ruff, whose NHL playing career ended with the Rangers in 1991, covets that job. While he spent less than three full seasons in New York, he always seemed to remember his days there fondly. He even began his “coaching” career there as a player, leading the Rangers’ extra skaters through workouts. Alain Vigneault, who led Vancouver to the 2011 Stanley Cup final, is also considered a top candidate. NHL legend Mark Messier, who captained the Rangers to the 1994 Stanley Cup, has expressed a strong interest in the job. The Rangers are currently holding their organizational meetings at general manager Glen Sather’s California home. In other Ruff news, the 53-year-old will be one Team Canada’s three assistant coaches at the 2014 Sochi Olympics under Detroit’s Mike Babcock, according to ESPN.com. Ruff won a gold medal with Babcock at the 2010 Vancouver Olympics. Ruff recently led Team Canada’s world championship entry.